Batu Tumpeng Beach is one of the best kept secrets in Klungkung, a grayish black sandy beach with stunning view of blue water, green rice field, mountain, holy temple and peaceful surroundings. This is a hidden pearl endowed with astounding panorama of the sunrise and also sunset. Every visitor who comes will be awed with its scenic beauty. 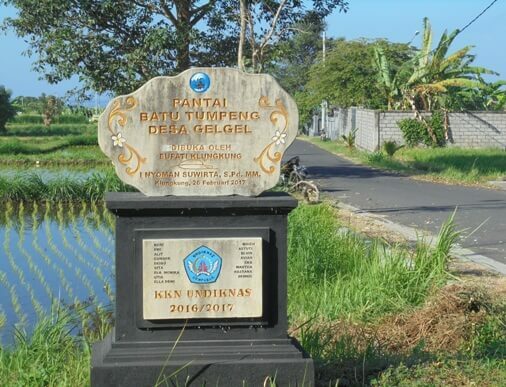 This beach is situated in Gelgel Village, Klungkung District, Klungkung Regency, Bali. The beach is tucked between Jumpai Beach (east) and Watu Klotok Beach (west). From Ngurah Rai International Airport only about 40 kilometers or one hour drive through the Jl. Prof. Dr. Ida Bagus Mantra. Visitors can access this beach easily by car. The beach is on the southern side and just few minutes from the main road. Some visitors were spotted parking the car beside the temple, a bit tight but possible. This beach has suffered severe abrasion and threatens the existence of productive land along the coast. Government and stakeholders have handled this issue by constructing the revetment and beach footpath attached to it. The visitors are still dominated by local, but foreign tourists also increasing, especially the surfer. This spot does have a good wave and has attracted many surfers both locally and internationally. When surf spot like Kuta become crowded and hectic, they usually prefer this spot to enjoy the waves with a better atmosphere. This is a nice beach to hang out or fun picnic at the weekend. This is a great for bike ride following the winding roads with lush rice paddies on both sides. You can also do beachside jogs on the footpath along the coast. 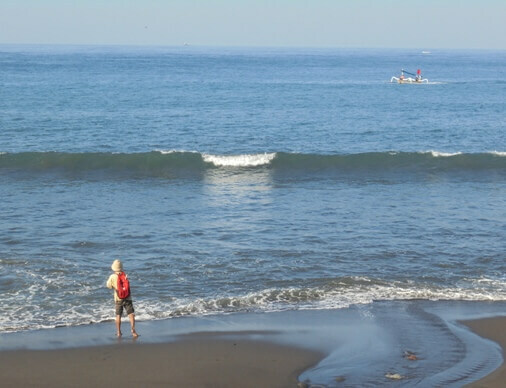 Some angler is seen on the beach, casting the bait and waiting enthusiastically. This is an interesting spot for surf fishing. 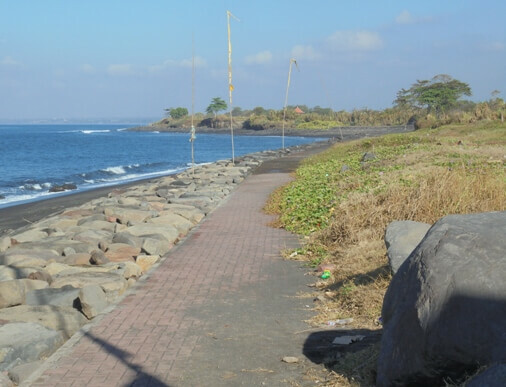 You can enjoy the long arch of grayish black sand with blue waters and peaceful atmosphere. 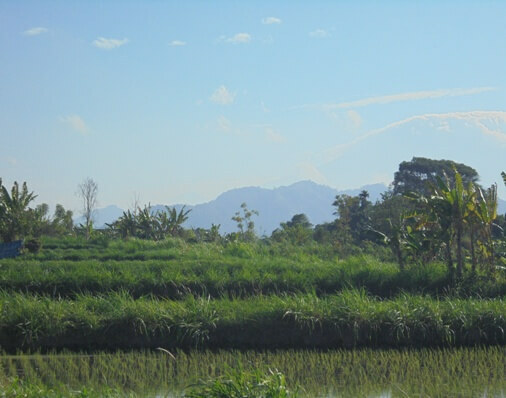 This place is also suitable for night camping while enjoying the silence of the night by the sea and rice fields. Better be careful when you soaking and swimming due to the waves are erratic and there is no beach guard. 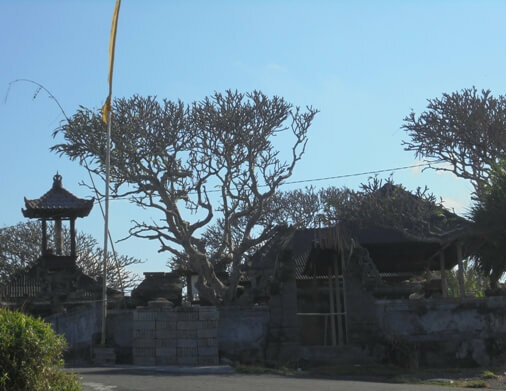 There is a sacred temple with beautiful frangipani by the beach, called Pura Batu Tumpeng. Some facilities like toilet and food-stall are available next to it. It's hot during the day and still a little shade. It would be better to visit in the morning or afternoon when the atmosphere is cooler with a soft light.